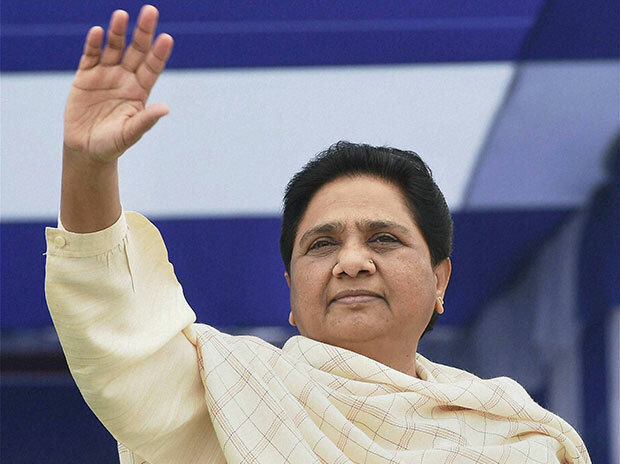 Playing the minority card ahead of the crucial Lok Sabha polls, Bahujan Samaj Party (BSP) president Mayawati today demanded a separate job quota for poor Muslims. Addressing the media on the occasion of her 63th birthday here, Mayawati said at the time of independence in 1947, the representation of Muslims in government jobs was about 33 per cent, which she claimed had nosedived to 2-3 per cent now. Her posturing comes in the backdrop of the Narendra Modi government at the Centre passing a law to provide a 10 per cent reservation in government jobs and educational institutions to the economically weak among the upper castes. “Our party has always been in the favour of providing separate quota to Muslims on the basis of economic condition and there is no change in our stand,” she added. Stirring up the purported farm distress, Mayawati demanded a long-term agricultural policy to rid farmers of the vicious debt cycle and prevent suicides. She has demanded a one-time wavier of all agricultural loans, apart from ensuring landless farmers and share croppers are also provided the debt write off relief. “About 70 per cent of the marginal farmers seek loans at high rates from local money-lenders, however, they are not covered under any farm loan waiver scheme. The need is to formulate a long term policy in this regard,” she added. The former Uttar Pradesh chief minister not only hit out at the Bharatiya Janata Party (BJP) governments, but also the Congress governments for allegedly reneging on farm loan waiver promises. “The new government formed by the Congress has put a ceiling of Rs 2 lakh for the farm waiver, while setting the cutoff date of March 31, 2018 for the scheme. Why did not the Congress government set the cutoff date of December 17, 2018, when the new government was formed?” she said In an apparent reference to the newly formed Congress government in Madhya Pradesh. BSP has formed a pre-poll alliance with the Akhilesh Yadav-led Samajwadi Party (SP), under which they would each contest 38 seats out of the total 80 seats in UP, while leaving two seats for Congress in Amethi and Rae Bareli constituencies. The fate of the remaining two seats would be decided later. Meanwhile, Mayawati demanded the formulation of a long-term and transparent defence procurement policy to preempt alleged scams such as Bofors and Rafale, which she underlined sully the country’s image and manifested in court cases. “The results of the recent assembly polls have given ample indications that the BJP government is losing out on support and is on its way out,” she noted. She warned people against falling for the alleged false promises and theatrics of the BJP leaders saying they were mere rhetoric and not meant to be fulfilled ever. Meanwhile, Mayawati appealed her cadres to vote and support the candidates of BSP or the allies, which she said would be the perfect gift for her birthday.